JF126 wrote: How high did you go? I'm always afraid to go above 15 feet because of the auto ascent issues. Doesn't the ultra sound get all out of sync if you go above 20 feet, regardless if the altitude limiter is off? Last edited by GeorgGGG on 24 Mar 2011, 21:17, edited 1 time in total. Very smooth video. Must be windless day. Were you still receiving video from the ARDrone at that distance? If so, is the video jumpy? What would happen if you lose connection at that height, would it remain hover at that height or would it come down lower in height before hovering? If it does come lower, how does it know it is that height since the ultra sound is out of range and it really don't know how high it is at. Just to clarify, the drone supports only wireless b/g and not n, right? That's some impressive distance you have, 310 meters, on the map, but you managed to get 500 meters as well? Do you have already bought this router? opie wrote: Just to clarify, the drone supports only wireless b/g and not n, right? Nice results! Do you reckon this 300mbps one will work? I think this is the AP we've all been looking for! Thanks for taking the time to provide such detailed info. I really like this script and had an idea. Is it possible to connect to an encrypted network (Say using my university login) and fly around campus on the wireless footprint? Maybe I am not understanding how this works so please do not laugh too hard if that sound ridiculous... I am not too savvy with computers. welki wrote: Nice results! Do you reckon this 300mbps one will work? As long as you do not deal with "broadcast" stations (such as normal broadcast radio stations or TV) you are always better off trying to match your receiver sensitivity with the TX output power from your AP (that can both receive and transmit signals). 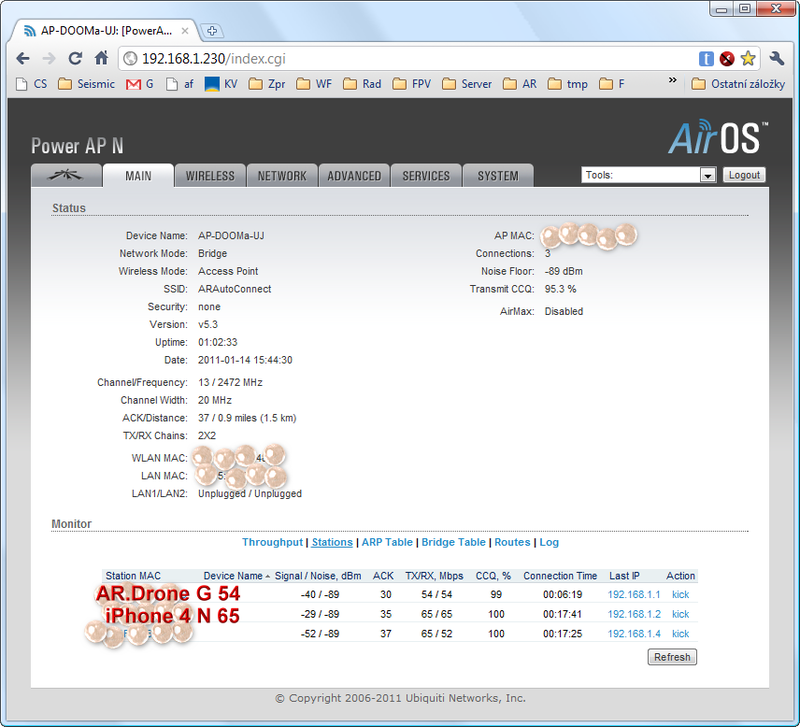 The more power you muscle out of your AP the less sensitivity you will have on your receiver of the AP. Sure, there are filters built in, but physical laws still apply. 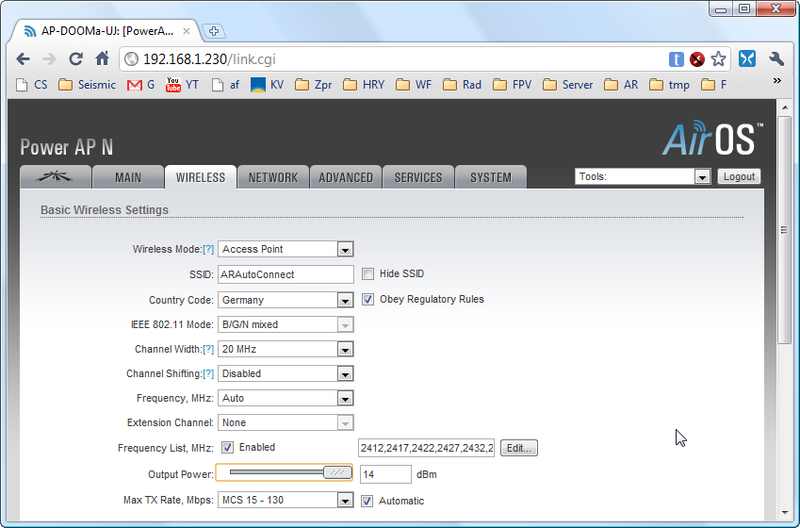 Im _ALL_ for having a good solid "base-station", such as the AP. But if I were to gain more coverage I would focus my attention on making a better antenna for WIFI on the drone it self. What I am trying to say is that up the power to 1W (on 2.4Ghz) is normally not a great idea on customer electronics such the AP used because they are normally not made for power levels over 200mW (sure, country dependent here). To sum up, the drone will hear your AP PERFECTLY (due to the increased output power of the AP) but will the AP still hear and receive packets from the Drone (that still has got the same output power and lousy antenna?). Please note that its a _TWO_ way communication with no ACKs(?) (use of UDP). 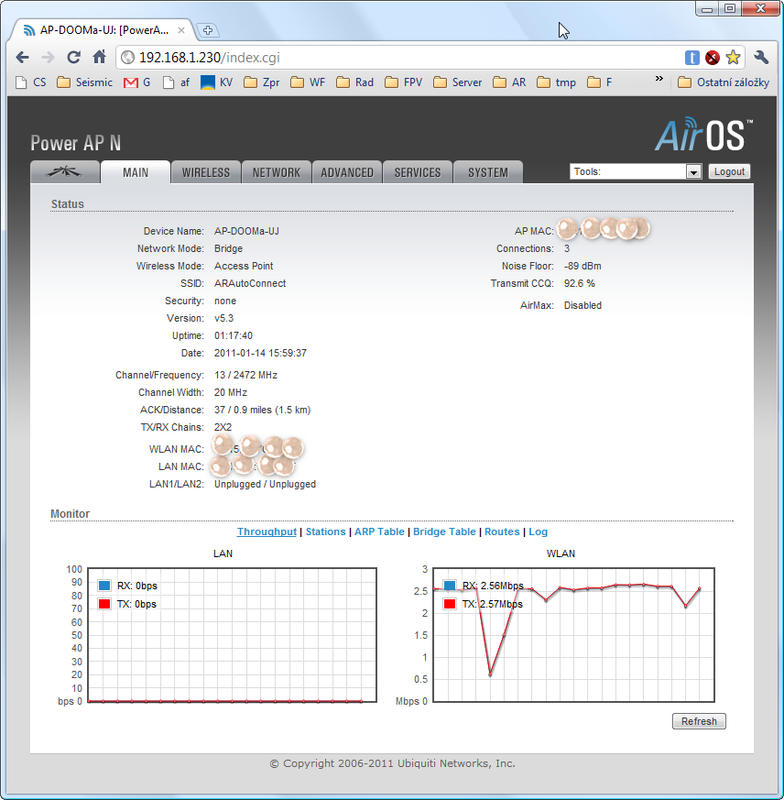 - High output power on AP causes the AP to have less receiving capabilities. 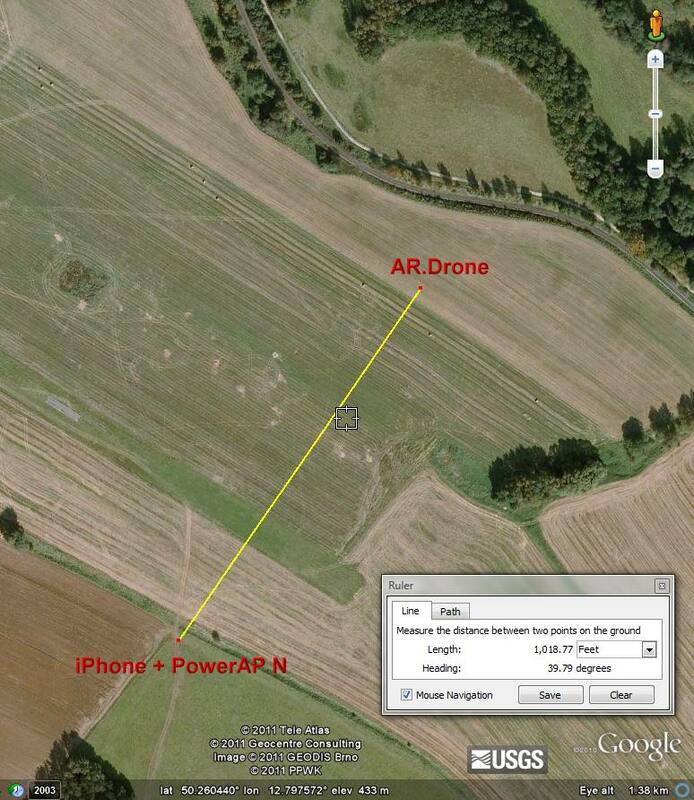 - High output power on AP causes the drone to hear AP very good. But does the AP hear the drone as good? Most likely no. But hey, no question about it. Having a good "base station" such an AP will _GREATLY_ enhance the range of the drone! tubster wrote: What I am trying to say is that up the power to 1W (on 2.4Ghz) is normally not a great idea on customer electronics such the AP used because they are normally not made for power levels over 200mW (sure, country dependent here). Last edited by GeorgGGG on 27 Mar 2011, 13:00, edited 1 time in total. tubster wrote: To sum up, the drone will hear your AP PERFECTLY (due to the increased output power of the AP) but will the AP still hear and receive packets from the Drone (that still has got the same output power and lousy antenna?). PS:Badly hears mostly Drone, because there purring motors. tubster wrote: But if I were to gain more coverage I would focus my attention on making a better antenna for WIFI on the drone it self. Oh, did not know that the engines causes interference on 2.4Ghz? Do you have any refs, I love to read about it. From my experience with both with Wifi and VHF/UHF radios and people always makes one big mistake adding more TX power trying to get longer range on a two way link, it always fails. I did not mean any disrespect, sorry if interpreted like that. I love the thought of long range ops!